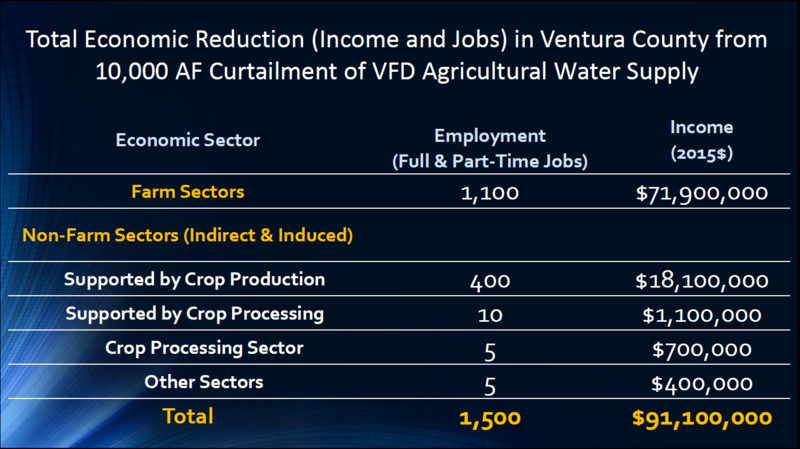 Ventura County faces fundamental threats to the future of local agriculture if limitations to water diversions from the Santa Clara River are continued, according to a presentation given by United Water Conservation District’s (United) Tony Morgan. Morgan, Deputy General Manager of Groundwater and Water Resources, warned that if water diversions were reduced by even a third of what federal regulators and environmental groups were demanding, the economic impact to the county would result in thousands of jobs lost and tens of millions of dollars in lost income to the county. Morgan revealed the information as part of larger presentation on the state of water resources in Ventura County during CoLAB’s Circle the Wagons luncheon on August 22. Circle the Wagons is an education series organized by the VC CoLAB Foundation to bring the public together with speakers on important local public policy issues. 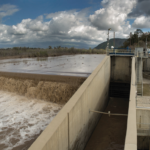 Morgan laid out some of the challenges facing Ventura County due to the extended drought and presented some possible projects that could improve the county’s water supply portfolio. 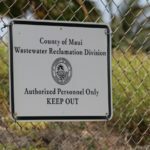 The county, which is still officially in moderate drought conditions in spite of last year’s heavy rains, has a long history of pumping more water than has been recharged into the local aquifers. Even with those heavy rains, groundwater levels in the northern portion of the Oxnard Plain known as the Forebay remain near historic lows. Seawater intrusion has been an issue in the Oxnard Plain aquifers for decades, increasing salinity in areas near the ocean, particularly during drought years. In 2014, California legislators passed the Sustainable Groundwater Management Act, which requires the formation of Groundwater Management Agencies to create plans for sustainable groundwater management to be implemented over a 20 year period. A number of projects have been suggested to improve the local groundwater situation, such as brackish water desalinization plants, wastewater treatment plants, and connecting isolated pipeline networks to provide a route for water transfers between water districts. Yet the biggest threat to Ventura County’s water supply comes from restrictions on United’s Freeman Diversion, which diverts water from the Santa Clara River to recharge basins outside of Saticoy. These infiltrate directly into aquifers underneath the Oxnard Plain, providing a critical source of groundwater for both agricultural irrigation water and drinking water. The recharge is also the primary means of combatting seawater intrusion. 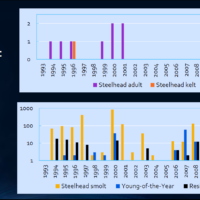 In recent years, United has been subject to mandates from the National Marine Fisheries Service (NMFS), who claims that United’s diversions are harming steelhead trout migration. Southern California Steelhead trout are listed under the Endangered Species Act, and the Santa Clara River is designated as critical steelhead habitat. 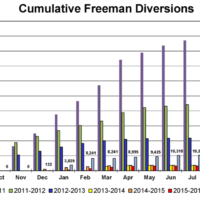 Only 11 adult steelhead have been documented as passing through the fish ladder at the Freeman Diversion and moving upstream over the past 20 years. 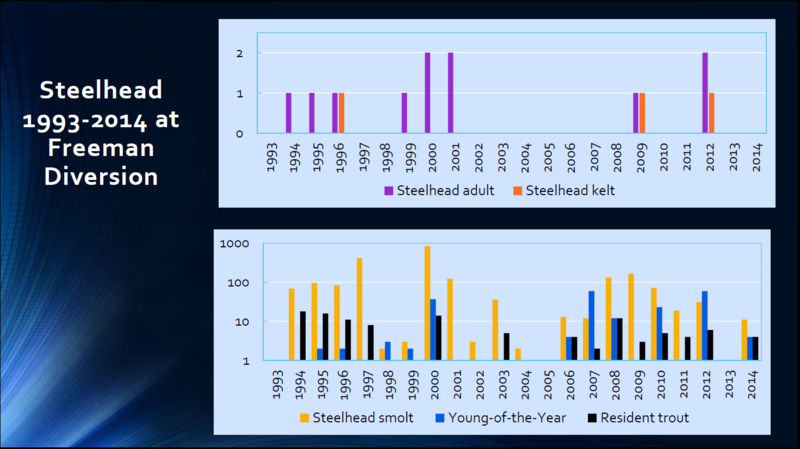 However, a significant number of juvenile steelhead (smolts) have been documented moving downstream toward the ocean over that same period. 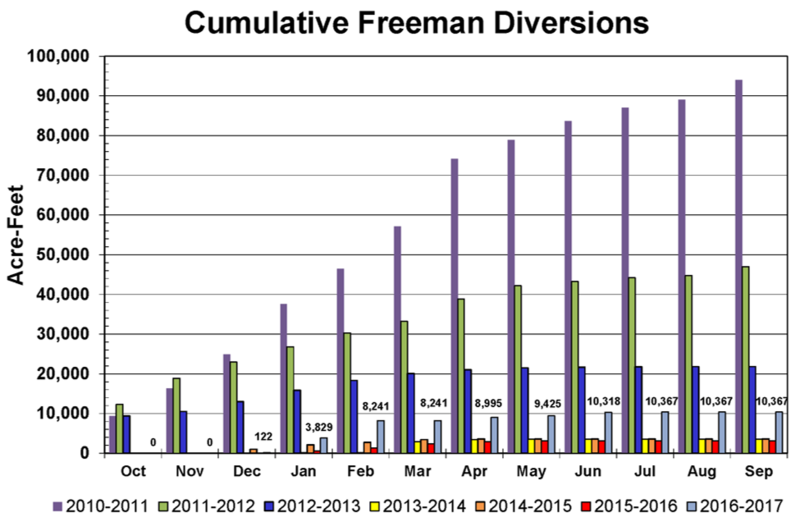 The restrictions from NMFS have resulted in severe limitations on diversions at the Freeman Diversion. Historically, United has diverted on average around 65,000 acre-feet a year of water from the Santa Clara River. This year, in spite of the higher than normal rainfall, United was barely able to divert 10,000 acre feet for groundwater recharge. Ninety percent of the water that crossed the Freeman Diversion went directly into the ocean. 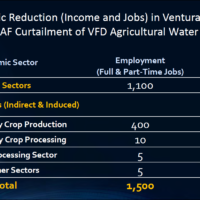 CoLAB believes that this situation is not sustainable for Ventura County, particularly for the agricultural industry. 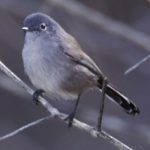 Depending on the final action from NMFS, cutbacks in United’s diversions could cause the sustainable groundwater yield to plummet to around 35,000 acre-feet a year, nearly half its current estimated level. 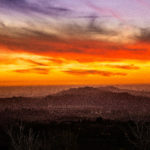 This would cause severe consequences for Ventura County’s agricultural community, which is already under stress from a lack of workers, scarce farmworker housing and regulatory restrictions. An economic study commissioned by United found that if diversions from the Santa Clara River were reduced by just 10,000 acre-feet a year, one of the best case scenarios, the impact to the local economy would be enormous. Long term job losses would reach 1,500, the county would see over $91 million in lost income, and roughly 2,400 acres of farmland would need to be fallowed. County governments would also be hit. The county would lose approximately $857,000 a year in tax income and between $1-2.25 million would need to be spent each year by municipalities to acquire alternative sources of water, and this is assuming that alternative water is available for purchase. United is currently working with Congresswoman Julia Brownley and NMFS West Coast Region leadership to find a common sense solution for the Santa Clara River. In addition, United is soliciting the public’s help, encouraging those who value the role agriculture plays in Ventura County to write NMFS and ask them to balance the needs of county residents and agriculture with protecting steelhead. Due to the stakes surrounding this important issue, CoLAB is strongly encouraging our members to send letters of support to United supporting their efforts. A link to a sample letter that you can use to express your opinion to NMFS, along with instructions for where to send it, can be accessed by clicking here.